Open a bespoke Barbershop with Fifth Avenue Lifestyle. We connect motivated hair professionals with modern work spaces at an affordable price. Tailor a new studio to suit your needs, ensuring you only pay for the space you use, without additional costs, hidden caveats or privacy limitations. Don’t work for someone else when you can control your trading hours. Discuss your goals with a Fifth Avenue Lifestyle representative and stand out in a crowded marketplace. Bring your ambition. Begin your own business. *Utilities and WiFi are the responsibility of the tenant and excluded from the rental price. 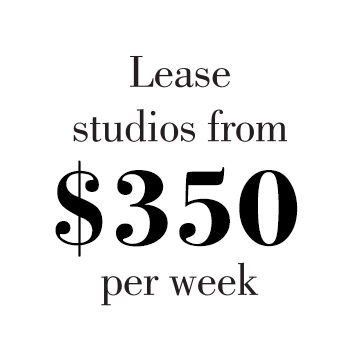 Fifth Avenue Lifestyle offers boutique studios across Brisbane for lease to the Hair, Beauty, and Wellness industries from as little as $350.00 per week. The studios come furnished, ready for an independent operator with existing clientele to commence trading immediately. Existing centres are open in Albion, Hamilton Harbour, Nundah Village, Albany Creek and East Brisbane, with more locations opening this year. Invest in a Fifth Avenue Lifestyle today! Fifth Avenue Lifestyle offers boutique studio rental opportunities across Brisbane for hairdressers, barbers, beauty specialists and entrepreneurs offering allied health, creative or professional services… from as little as $350 per week!